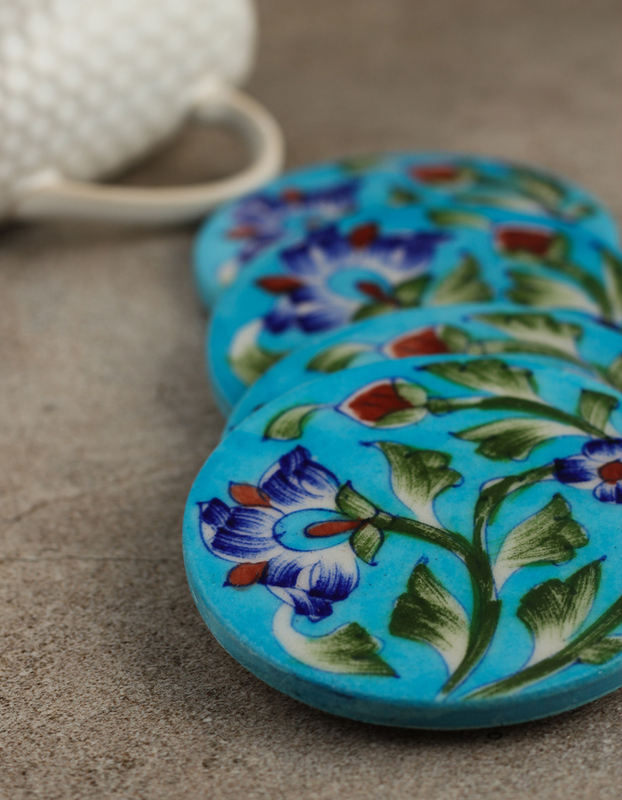 Keep your dining table free from beverage stains with Neerja Blue Pottery Coasters Set. The set includes 4 coasters in a gift box ( the Color of gift box may vary). Each coaster measures 3.5" in diameter and is handmade with love. These Colorful coasters will add a traditional touch to your table.